Laying ground for another round of confrontations, the Supreme Court collegium has reportedly rejected the Centre’s recommendation of permitting the latter to reject any name for appointment as a Judge of a High Court for reasons of “national security”. 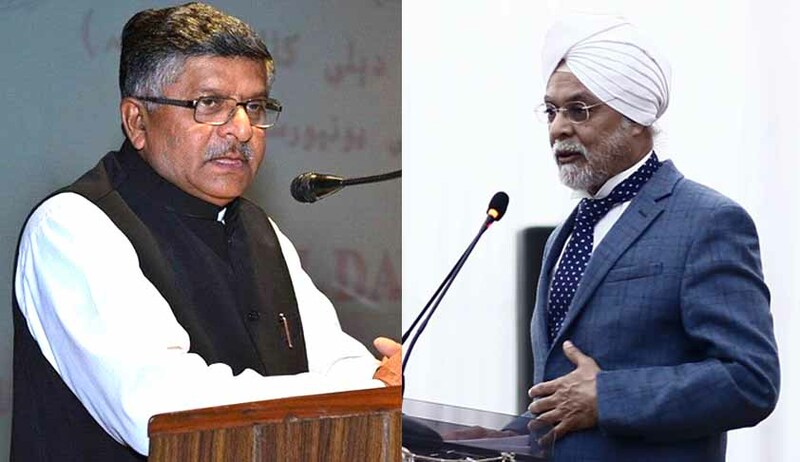 The five-Judge collegium led by CJI Khehar, in its final meeting on March 10, has unanimously rejected the recommendation, contrary to earlier reports which had claimed that a consensus had been reached on Centre’s stance that “national security” ought to be a part of the criteria to determine eligibility for appointment as Judges. The views have been conveyed to the Centre through a letter sent on March 13. “If there is sufficient material that the government provides to the collegium to substantiate its view that the appointment of a candidate could compromise national security, I don’t think any collegium will ever dismiss such sensitive feedback. But the government can’t be given a virtual veto to reject any name by merely invoking national security. This would lead to politicization of the entire appointment process, something that the framers of the Constitution didn’t want,” a collegium member was quoted as saying. Reports also point towards rejection of the suggestion to set up a permanent secretariat for “vetting and screening” appointments to the higher judiciary. The Judiciary has for a long time been of the view that the existing mechanism – under which the personal staff of the five judges constituting the collegium deals with the issue – is good enough. Another suggestion that has been discarded is that of having a three-member committee of non-collegium members to investigate complaints against Judges of the High Courts. The Collegium also desires to reiterate a recommendation, when the same is rejected by the Centre, in which case the Centre would have to approve it. This is subject to a unanimous affirmation in writing, by all the members of the collegium. However, the collegium has reportedly agreed to have a minimum and maximum age limit for Advocates being considered for appointment as High Court Judges. It has agreed to set a minimum age limit of 45 years and maximum age limit of 55 years for appointment of Advocates as High Court Judges. For elevation of District Court and Sessions Judges to the High Courts, the collegium has suggested an upper age limit of 58 and a half years. Further, for appointments, the age of the Judge at the time of vacancy would be considered. It was on December 16, 2015, the Constitution Bench of the Supreme Court had directed the Government to draft a new Memorandum of Procedure [MoP] for appointment of High Court and Supreme Court Judges. The MoP has since been getting tossed back and forth between the Centre and the collegium, with both the sides being adamant on their stands on several issues. With the fresh round of rejections and confrontations, a consensus seems to be off the cards for the time being.